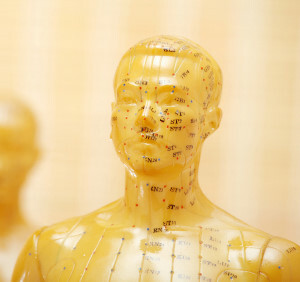 The aim of an acupuncture treatment is to restore or maintain a person’s Qi (“vital energy”) by inserting and stimulating very fine, sterilised, single-use needles into specific points along certain pathways around the body which are known as “Channels” or “Meridians” (pathways in which Qi flow through the body). Acupuncture is effective in treating over 40 common conditions which include disorders of a musculo-skeletal (i.e. : back, shoulder, neck, knee, etc. ), respiratory, gastrointestinal, migraine, emotional, menstrual or stressful nature, amongst other conditions. An acupuncture treatment may include other TCM treatments, such as, Moxibustion, Cupping, Electroacupuncture, Ear Acupuncture, Dietary and Lifestyle Advice. An initial treatment includes a consultation during which the patient is asked questions which help the acupuncturist to make a diagnosis and treatment plan based on Traditional Chinese Medicine (TCM). This initial consultation is followed by the acupuncture treatment itself and lasts approximately 1 hour. Additional acupuncture treatments may be required. These last approximately 45 minutes. If you have a specific interest in Fertility Acupuncture click here to read more. Tuina is a deep tissue massage treatment based on the principles of Traditional Chinese Medicine (TCM). Physically, it is a series of pressing, tapping and kneading manipulations that removes blockages along the Channels (specific pathways in the body) and stimulate the flow of Qi (“vital energy”) and blood to promote healing. Tuina’s massage techniques range from light manipulations to deep-tissue work. It benefits many conditions, including back pain, neck pain, shoulder pain, respiratory disorders, digestive disorders, stress, migraine and insomnia, amongst other conditions. A Tuina treatment generally lasts between 30 minutes and 45 minutes, depending on the purpose of the treatment. Acupuncture and Tuina complement each other and can, therefore, be combined in one treatment. This increases the effectiveness of both therapies in restoring the body to health. A combined Acupuncture and Tuina treatment lasts approximately 50 minutes to 1 hour 15 minutes, depending on the purpose of the treatment. Maria Maher of AcuWell has a special interest in Fertility Acupuncture and is a founder-member of the Zita West affiliated acupuncturist network for reproductive health in Ireland. If you would like to know more about these or if you would like to make an appointment, please contact us.